Hi friends! Larisa again from the I Heart Planners team. 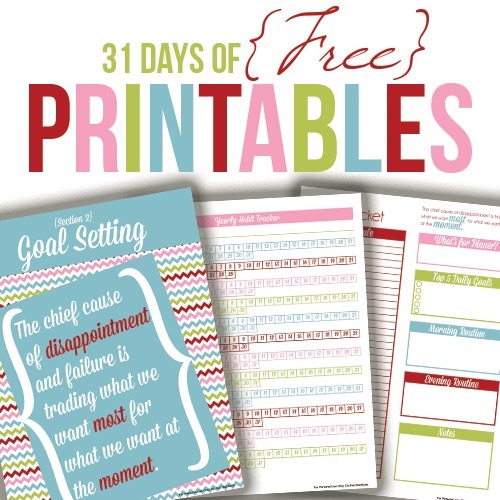 I have a confession to make – I have always loved goal planning, but hardly EVER tracked anything daily. YES, you read that right! I would get so excited and have an “action plan” for the month, but never was able to get things truly done. Why? Because I was not doing things weekly or daily. I would have this lofty monthly, quarterly, and yearly goals but no way to keep myself accountable on a daily basis. So “one day” and “someday” never came – and my goals stayed on the paper instead of getting done. But once I figured out how and why I should be tracking daily, it honestly changed my life! The thing about good goals is they start with good habits. Daily habits make anything possible. The daily habits you keep become the rhythm of your life – and once you realize just how important daily goal tracking is to your overall bottom line, life becomes so much easier. The first thing I do is take a look at my 6-month goals. I personally don’t like to plan on a yearly or quarterly basis. So much can change in one year, and 3 months never feels like enough. Six months feels just right! I look at the core areas I’m trying to improve in my life, and the core areas I’m trying to maintain. It’s all about balance – or pretending to have balance, at least! I’ll then look at each goal and see what 1-2 things I can do on a daily basis that I can improve on. Goal Tracking like this is a very detailed process for me, but I wouldn’t have it any other way. Really doing a deep dive into my own habits has helped me become closer to the woman I want to be. It has helped me make more conscious and intentional decisions as a mother, as a businesswoman, and as a wife. It has made our home cleaner and my hectic life much simpler. 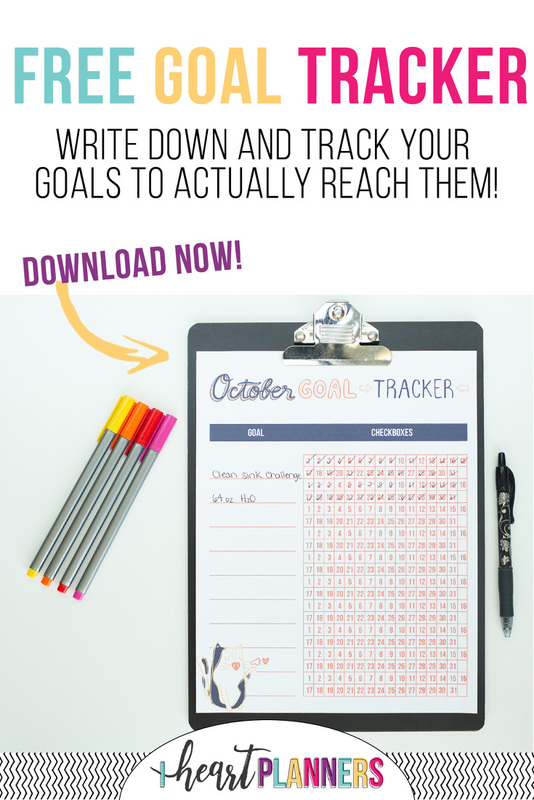 If you aren’t goal tracking on a daily basis yet, what are you waiting for?! 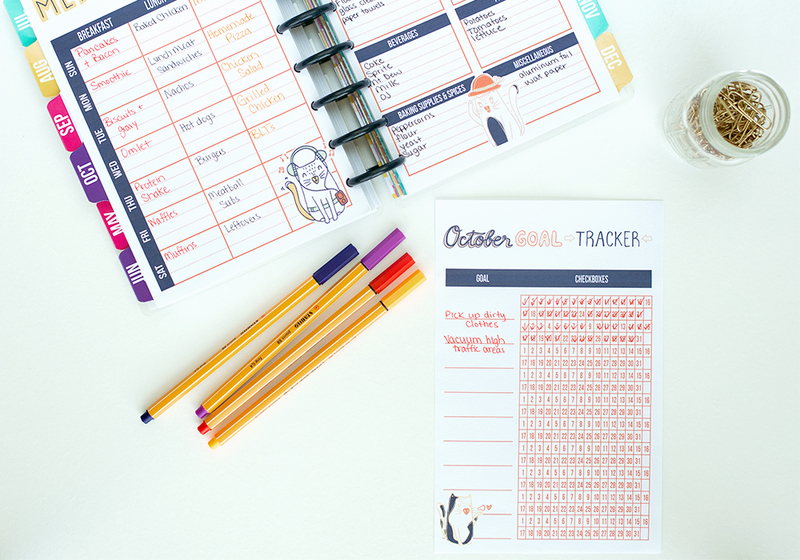 If you aren’t a member of the Sweet Life Planner Club, we didn’t forget about you. 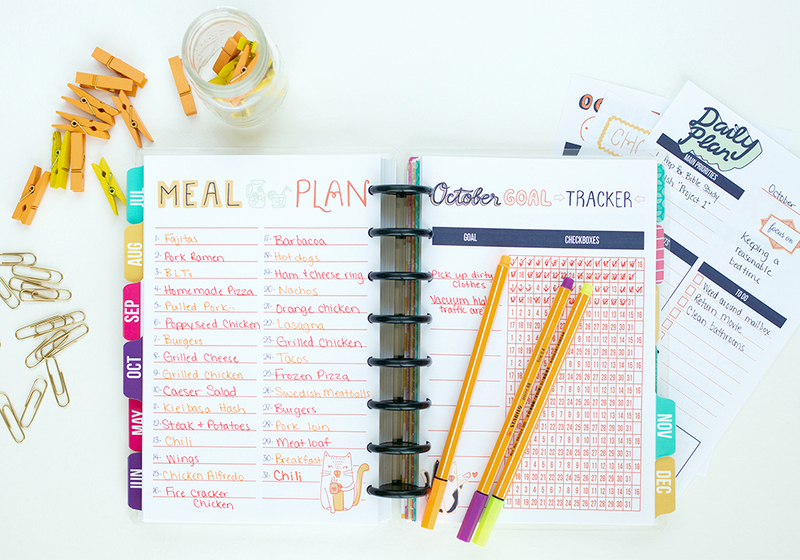 Click below to download the free meal planning portion from the September printable pack! 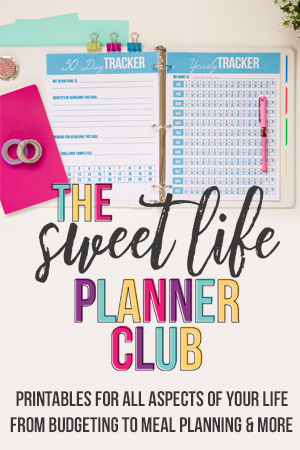 If you want to learn more about the Sweet Life Planner Club and how you can access hundreds of printables, click here! 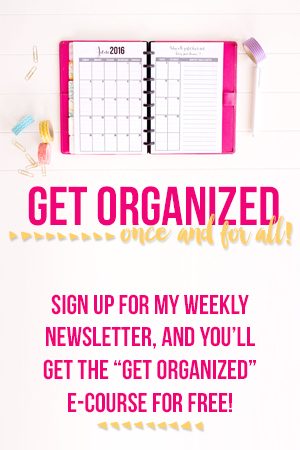 « Join 20+ Expert Organizers THIS WEEK!